There might be numerous free extensions in the Chrome web store to save web pages as PDF’s, but you don’t need to use them when Chrome already has a built in feature to save web pages as PDF files. Saving web pages as PDF’s can be very useful when you want to save a tutorial or a long article which you want to read later. PDF being a portable format, it is supported by most devices and can be easily shared with anyone. When you want to save a web page in Google chrome, you just need to press the CTRL + P key combination. This will bring up the print dialog, where you need to change the destination to “Save as PDF”. Finally click on the Save button and instantly you would be prompted to save the web page as a PDF file. 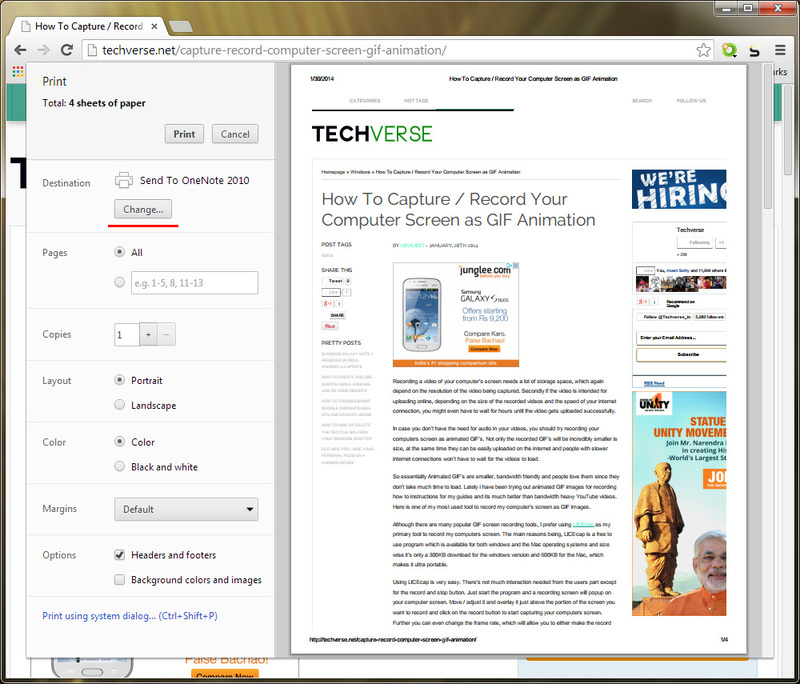 Here are detailed instructions with screenshots to save web pages as PDF files in Google chrome. Step 1: When you want to save a web page, press the CTRL + P key combination. Step 2: In the Print dialog box that opens up, click on the Change button. 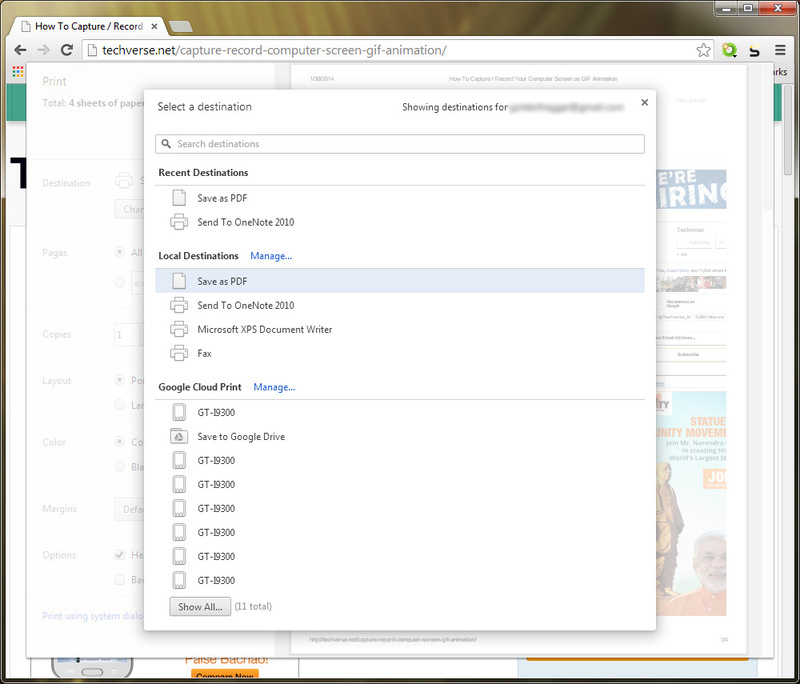 Step 3: From the list of destination provided, Select “Save as PDF”. Step 3: Finally click on the Save button and select a location to save the web page as a PDF file. Making the use of this feature you can even open images and text files in Google chrome and save them as PDF files.